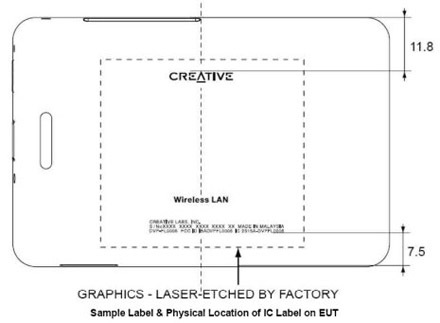 Creative has filed with the Federal Communications Commission (FCC)and we begin to see more drawing of the new ZEN X-Fi. We do know by now that the ZEN X-fi comes in 3 capacity (8,16,32GB), Wi-fi and non-Wi-fi, 2.5' screen and there seems to be something more than what it seem to be at the back of the player. We will find out eventually when the player is released next week!